Mono eyelids keep you from the limelight? Stand out instantly and look like your favorite Hollywood icon with the Invisible Lift Double Eyelid Stickers set! This transforms your eyes dramatically, we promise you'd be amazed! 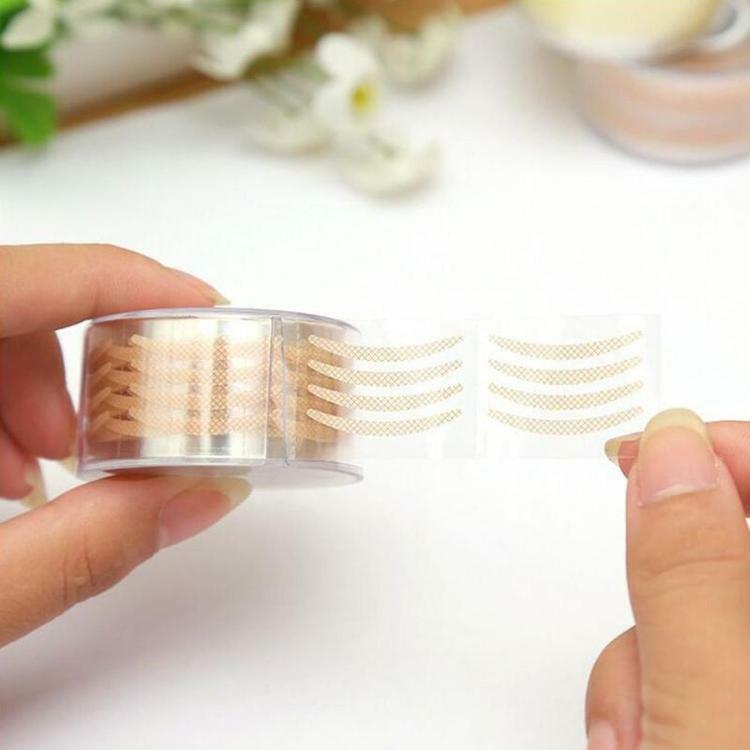 If you're ready for stunningly beautiful eyes without the high costs that come with surgery, this set of Invisible Lift Double Eyelid Stickers would be a dream come true! With the 600 pack to last you a very long time, you're fully equipped to charm anyone with larger and brighter-looking eyes. In fact, continuous use of this incredible set delivers permanent results you'd like even more. With a tweezer, carefully peel off eyelid strip, then apply it under your natural crease. Press the tape strip onto your lid. You may use the flat end of the tweezer to get this done. Make sure it holds properly by firmly but gently pressing your fingers onto the end of the strip. Hold for 10 seconds.